Develop now or land bank for later! 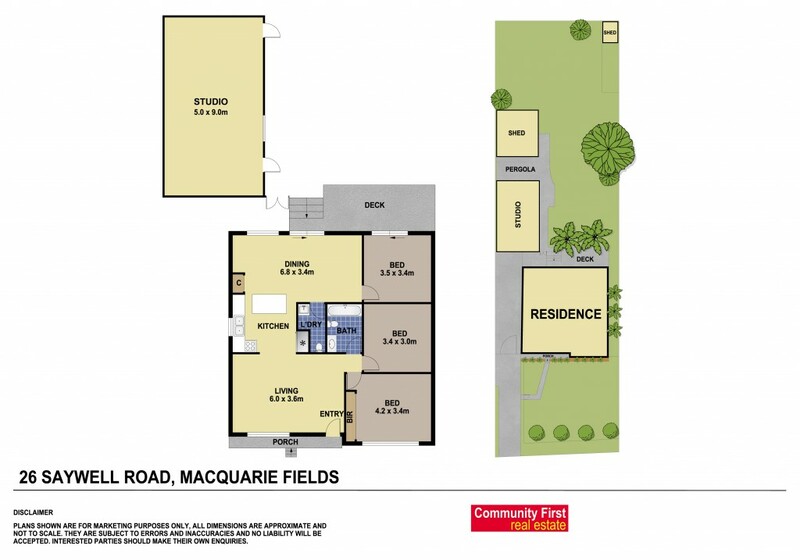 Boasting one of the best addresses in Macquarie fields, this well kept home and studio which sits on a block of approximately 816sqm, is soon to benefit from proposed rezoning under the Glenfield to Macarthur Growth Corridor plans released by planning NSW. - Future development potential up to six storeys as per the Glenfield to Macarthur Growth Corridor released by planning NSW. - Open plan kitchen and dining with breakfast bar. - Large covered entertainment area and huge backyard.